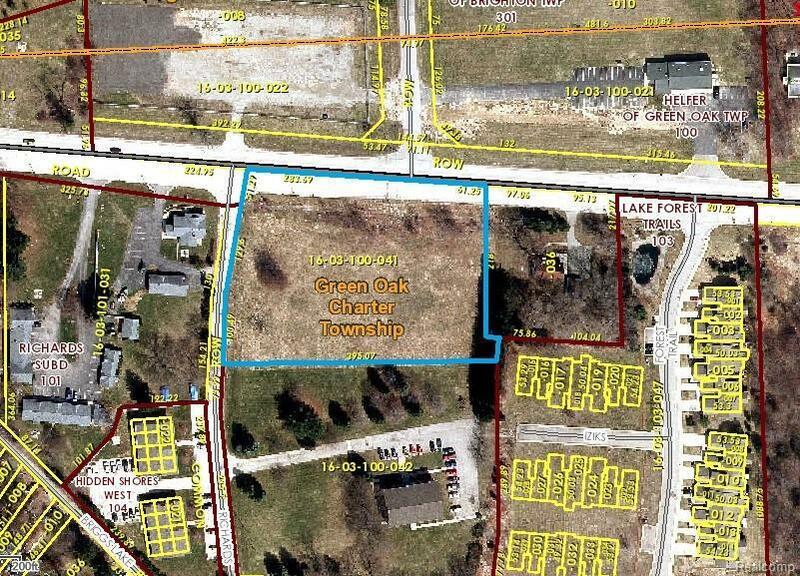 2.3 acre parcel in Green Oak Twp currently zoned commercial but multiple uses could be approved offering lots of potential. 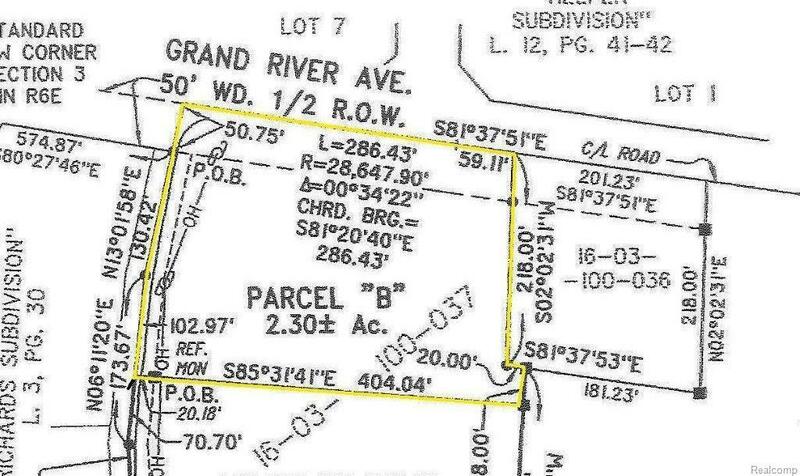 346' of frontage on Grand River in a growing, high traffic area on the east side of Brighton with lots of new development. This would be the perfect investment or new commercial opportunity with 542 residential units being built across the street. All utilities available, easy access to town and freeways. Just west of home at 11370 Grand River. Listing provided courtesy of Charles Reinhart Co-Ann Arbor.